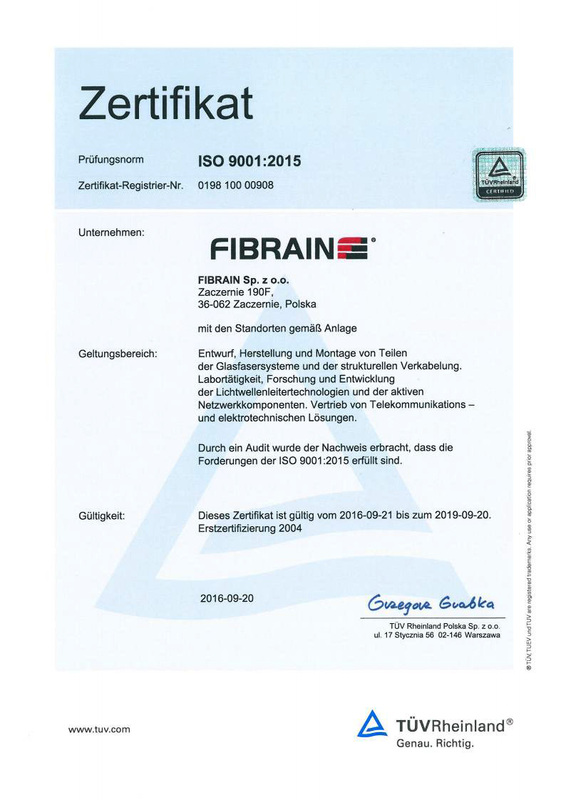 Certificates - FIBRAIN - Fiber optic solutions, fIber optic cables and FibrainDATA Structured Cabling. Solutions for FTTH such as patchcords, pigtails, active elements and passive optical network PON elements. It is recognized and worldwide accepted certificate which proves the ability of our company to meet the quality requirements and enhance customer satisfaction in supplier-customer relationship. 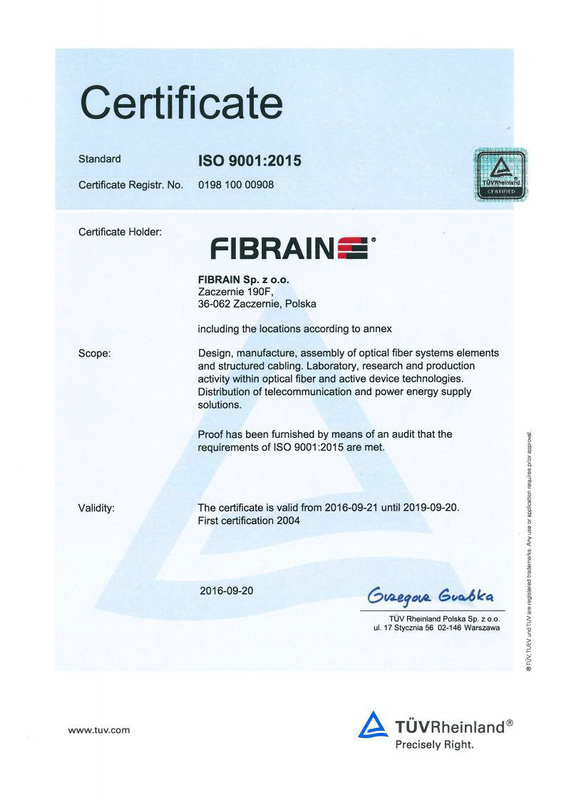 In 2007 year we expanded our range of pigtails and fiber optic patchcords with E-2000 connectors. 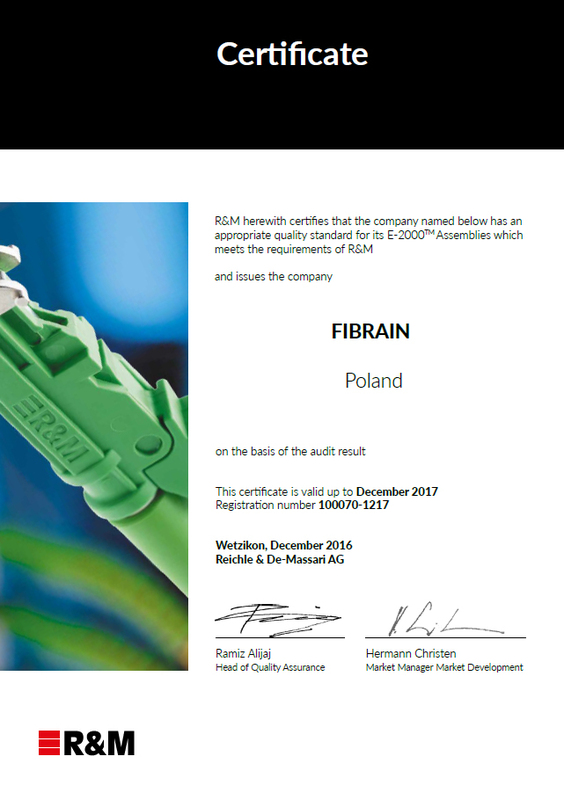 In April 2008 our company successfully passed the audit of the R&M company and obtained the quality certificate. 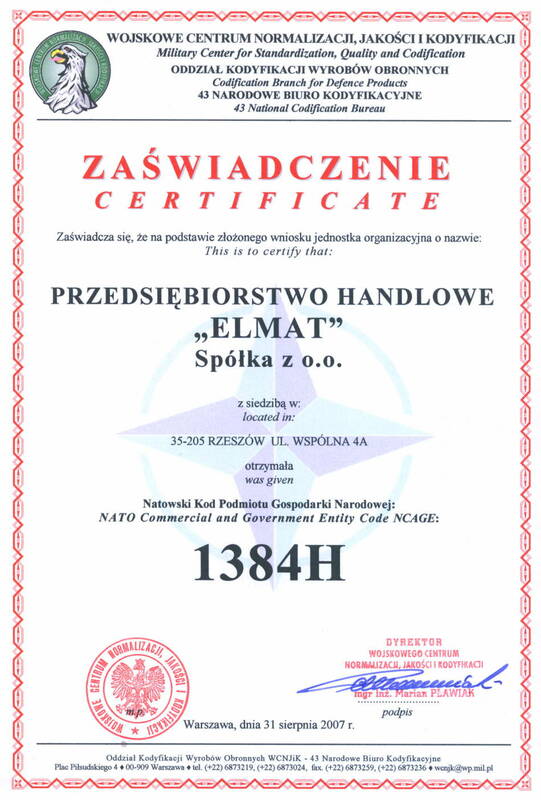 The Certificate was issued by Military Centre for Standardization, Quality and Codification. 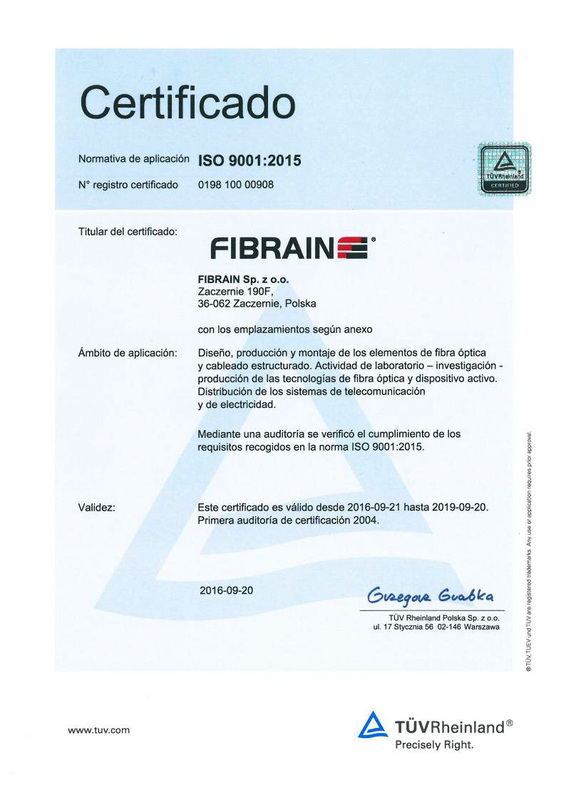 The certificate is issued as the assurance that the product meets the necessary defence requirements.